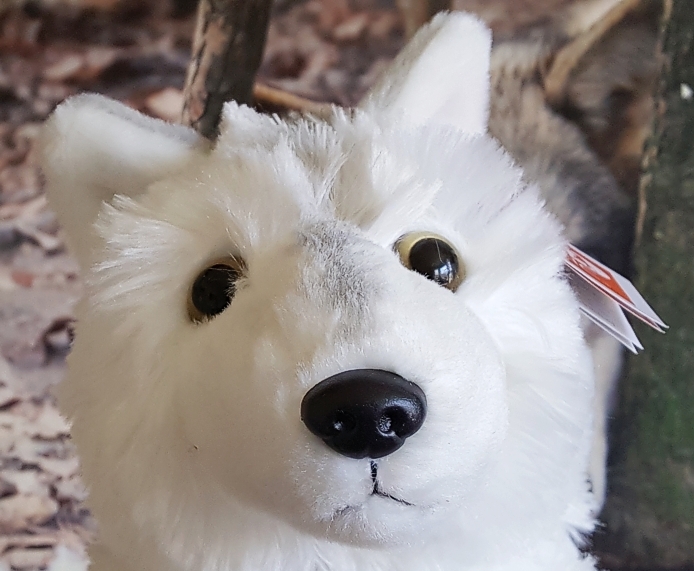 We love the realistic aspects of this Arctic Plush Wolf. 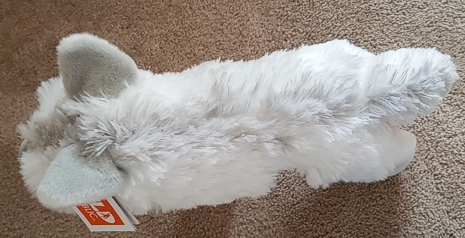 This Arctic plush has a true dusting of light gray fur on it's muzzle, behind it's ears and down the center of it's back. This plush Wolf stands nicely and appears to be walking. Makes a great Wolf gift for a person who loves Wolves and especially white ones.